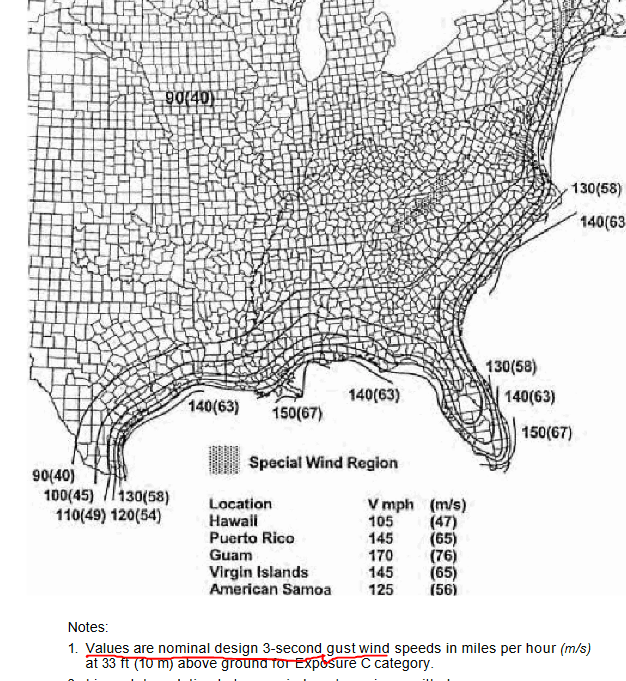 In 2009 IBC the wind maps are Basic Wind speeds (example 90mph for a huge portion). At the bottom the notes say "these are nominal wind speeds"
In 2012 IBC the wind maps are Ultimate Wind speeds (example 115 mph for a huge portion). 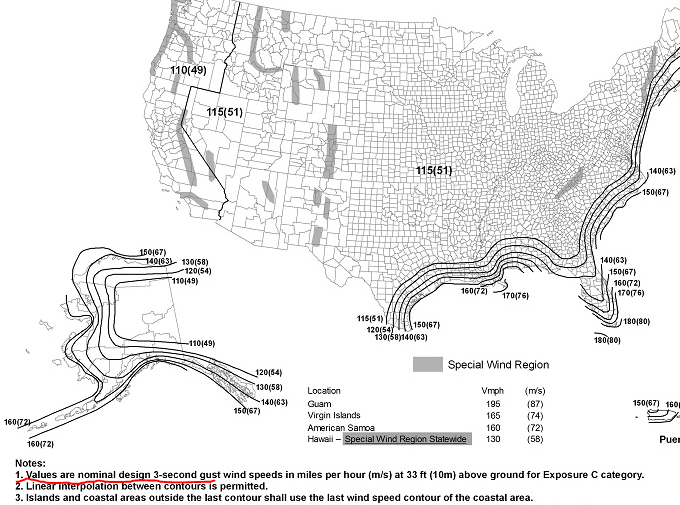 At the bottom of the map the notes also say "these are nominal wind speeds"
So why did the "Safety Factor" wording stay the same using "nominal" between 2009 IBC and 2012 IBC but the wind map wording "nominal" corresponds with the change between Basic and Ultimate wind speed (varying with safety factors)? Are "Other Nominal Loads" not including wind? What's the deal here? I recall this being addressed in an errata or something. Short version is I recall the intent being retaining walls designed under ASD and thus the wind loads need to be reduced to ASD levels. In IBC 2012 there's an ASD conversion table in there for things like windows and such that require ASD level wind speed maps. I'm working thru validating our new retaining wall software and was just figuring out how they approach the sliding and OTM FS. Ultimately, if you input strength level wind loads, they are factored by 0.6 for service loads when computing the factors of safety and the actual soil pressures.